Media Spotlight - Menu Innovator® - Wood Fired! For weeks now, we’ve been exploring Latin inspiration on the American menu. Mole sauces, Latin barbecue, tacos – these are some of the major influences on the plate. But we would be missing a vital part of the picture without looking into how we cook. 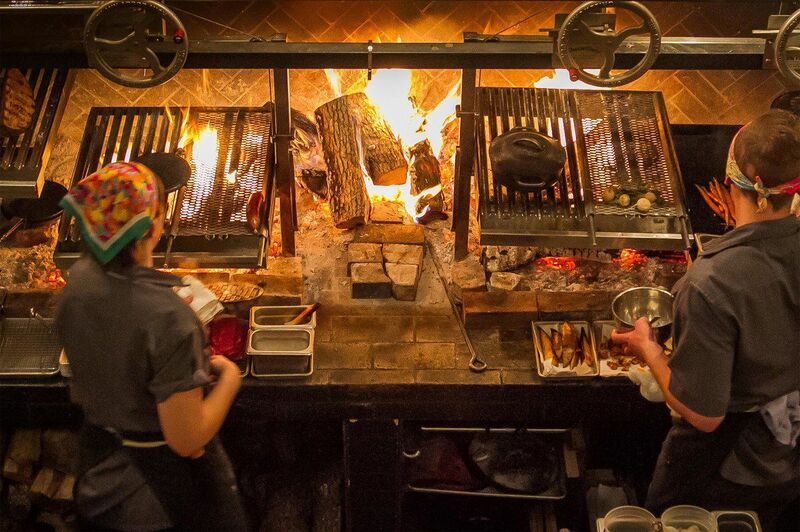 Restaurants recognize the value of the wood-fired grill. Latin countries around the globe use fire to grill, char, and smoke their most famous dishes. The people of Argentina have mastered the art of grilling and prepare a variety of vegetables and other meats like sausages and sweetbreads – all on the grill, over a wood fire. American restaurants follow suit, with establishments like La Sirena Clandestina making wood-fired meals prepared on an open hearth. Try their Grilled Pork Chops with coconut rice, red chimichurri, and grilled pineapple salsa. Latin fire belongs on the breakfast menu too! Xoco in Chicago, who offers wood-fired ingredients, has molletes (Mexican sandwiches) for breakfast, with grill-roasted tomato salsa and grilled onions. For a chef deciding when and how to grill, it’s important not limit fire to meat only, especially for breakfast. Chefs choose the perfect wood and ingredients, elevating sauce components, vegetables, and even herbs to the next level. A few simple components – quality ingredients, the right grilling wood, and fire – are the foundation on which Latin food builds. As you infuse this cuisine into your menu, don’t forget the how, because fire changes everything!